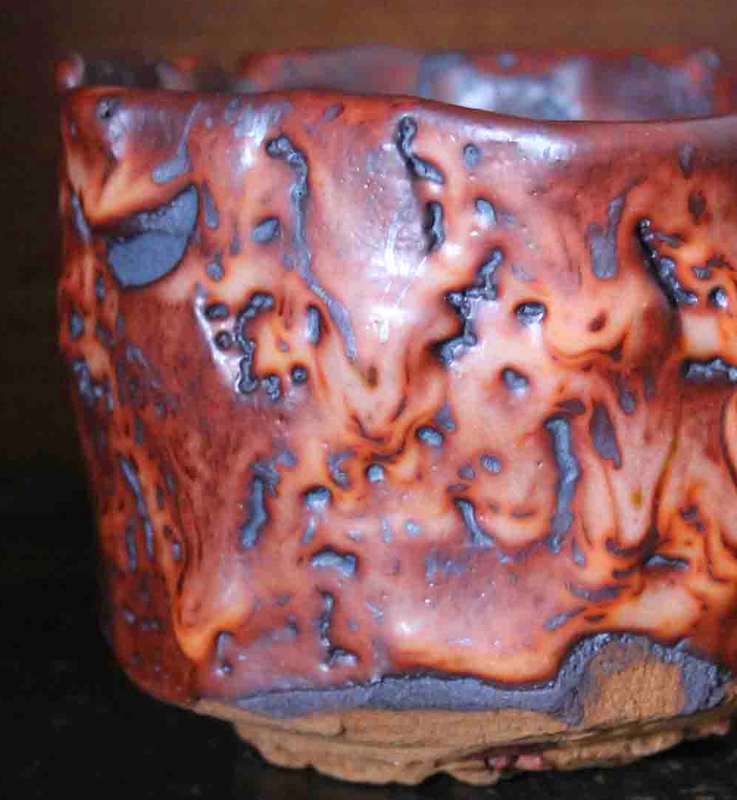 Here is a superbly fired and ‘simple’ Kakurezaki Ryuichi work dating to the 1990s; notice how he formed the opening and the unique aspect of the lugs-ears. In perfect condition, 19cm.tallx22cm.widex20cm. deep, signed on base. We also have the two works shown, along with two large platters and a talled hidasuki work, photos soon to be added here. 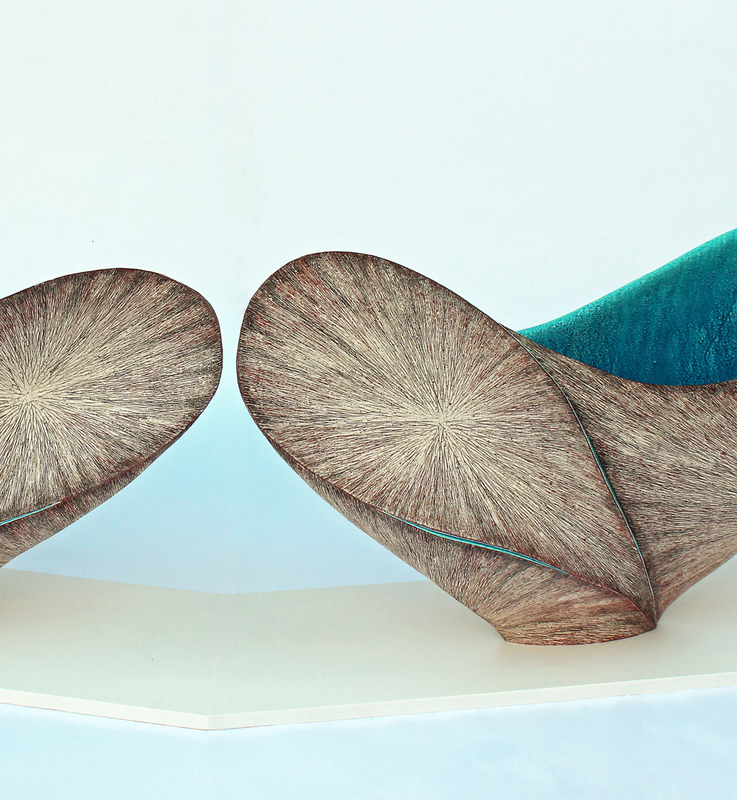 Thank you to all who visited the Furutani Kazuya online exhibition. From today we’ll be updating the web gallery more frequently, starting with a shibui Bizen tokkuri by Kaneshige Toyo and a sake set by Hamada Shoji. The Kaneshige is 13.3cm.tall, signed on base with a signed box, Sold. The Hamada set is 280,000 yen, also a signed box. More photos gladly sent upon request. Here are two Yamada Kazu(b.1954) original glazed works aptly named Enbu-Shino(Dancing Fire) that are hugely popular here in Japan. 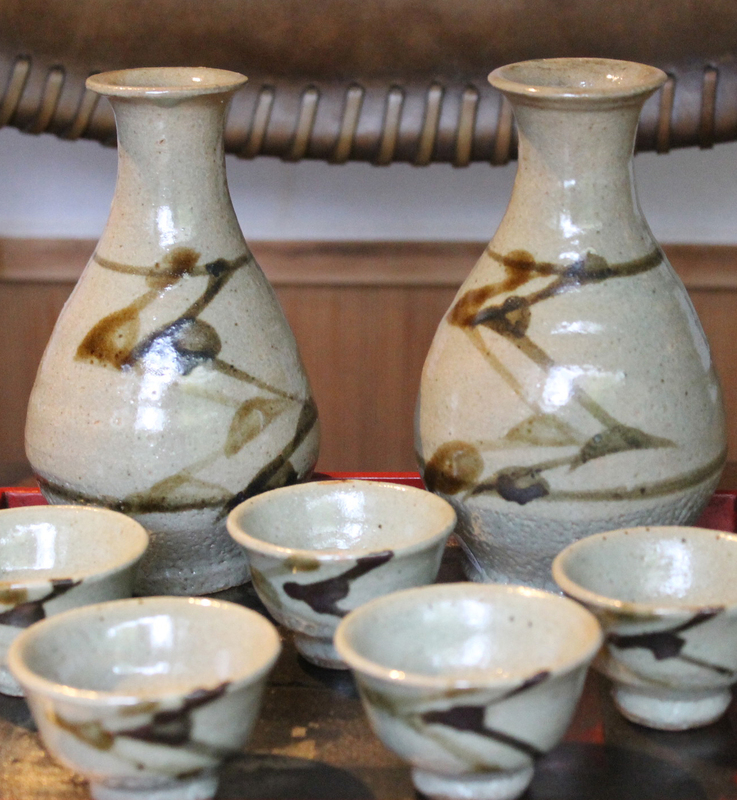 Each in perfect condition with signed boxes, on the large side for chawan and guinomi, signed on base. Additional photos gladly sent on request. 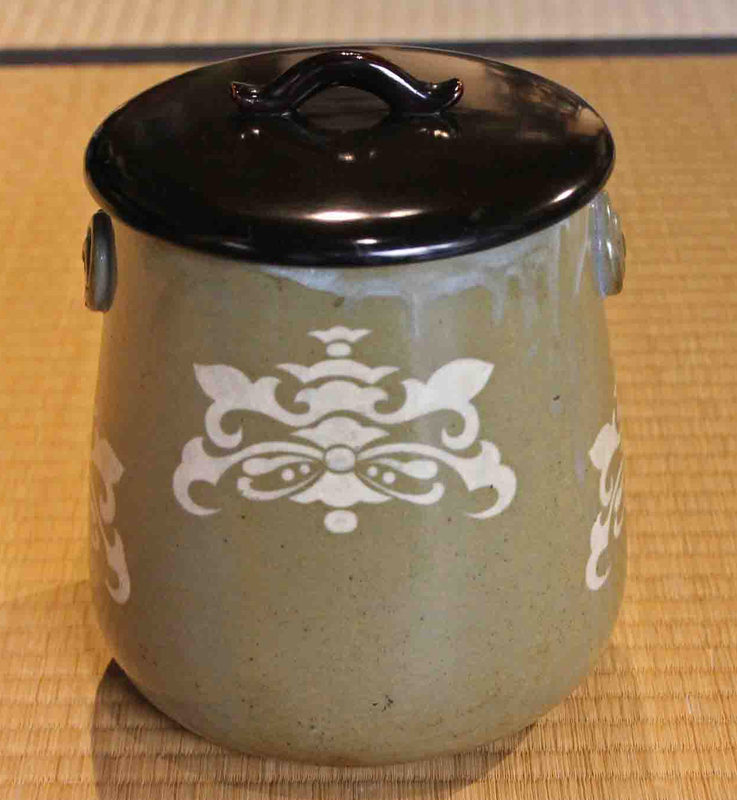 The chawan is 550,000 yen and the guinomi is Sold. Here is a very large pair of Tanoue Shinya ‘Shell’ forms that were awarded a Judge’s Prize at the 11th International Ceramics Competition Mino in 2017 and then traveled to Yokohama’s Sogo Museum in 2018. Each is 59.5cm.tallx120cm.x44.5. The judge that presented the award is the well-known contemporary art painter Yoshitomo Nara. In perfect condition, one or both ok. 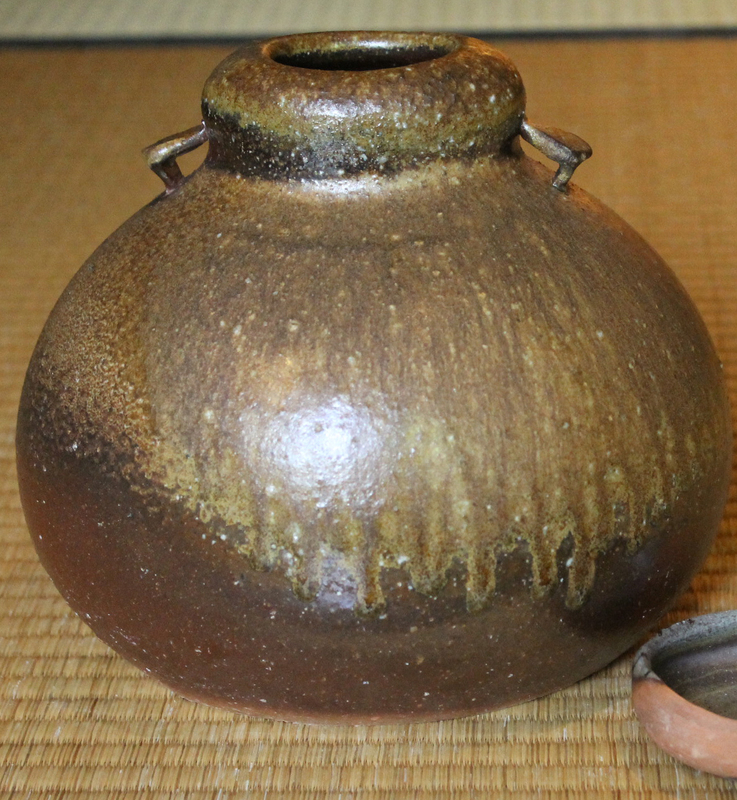 Here is an extremely rare Koda pottery mizusashi made by ninth-generation Koda potter Chubei Katsuzo(1887-1968). The zogan inlaid design is superb and the period lacquer lid is also a rare thing to find intact. In perfect condition, 21.2cm. tall with lid on x 17.4cm. wide at base, stamped Koda-yo on base, with an unsigned wooden box. Welcome. Our Japanese Pottery Gallery offers a wide selection of ceramics from the potters of Japan, both antique pieces and those by contemporary artists. Our online selections are updated several times each week. Please do visit often to view the new selections. 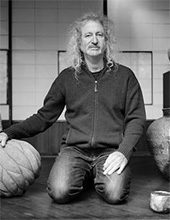 Buy one-of-a-kind ceramics, and learn about the styles and traditions of Japanese pottery, from longtime Japan resident, pottery journalist, and ceramic specialist Robert Yellin. Visit the About Us page to learn more about Yellin and his store policies and guarantees, as well as view photos of our Gallery in Japan. We’re grateful to have been featured on the Barron’s Penta website, as well as the Financial Times’ How to Spend It.